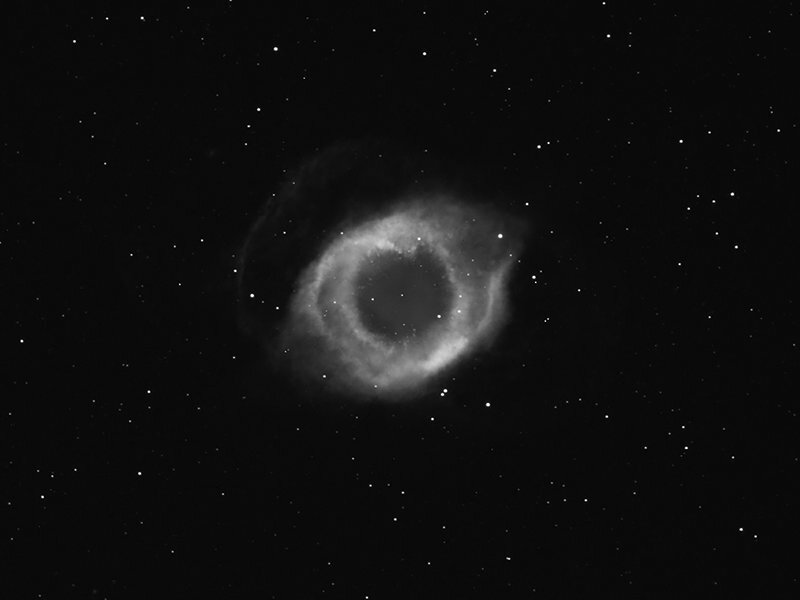 The Helix Nebula (also known as The Helix, NGC 7293, or Caldwell 63) is a large planetary nebula (PN) located in the constellation Aquarius. 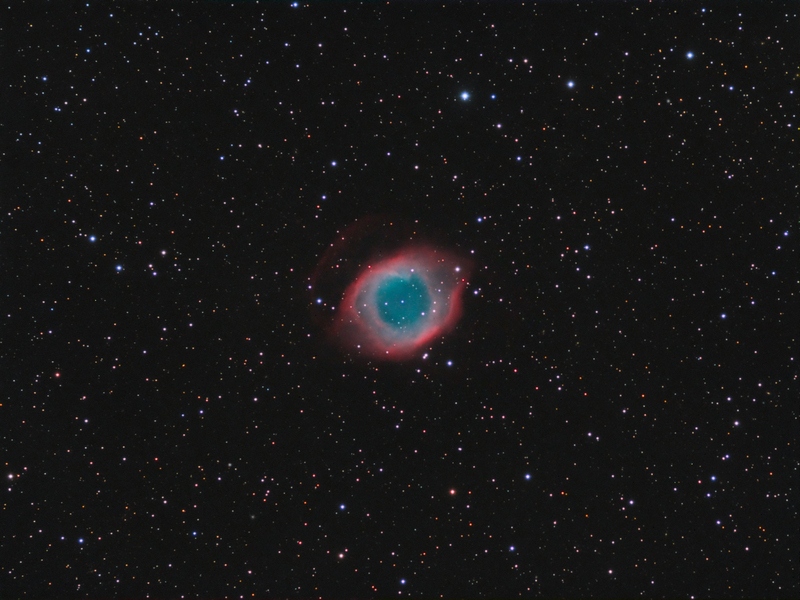 Discovered by Karl Ludwig Harding, probably before 1824, this object is one of the closest to the Earth of all the bright planetary nebulae. The estimated distance is about 215 parsecs or 700 light-years. It is similar in appearance to the Ring Nebula, whose size, age, and physical characteristics are similar to the Dumbbell Nebula, varying only in its relative proximity and the appearance from the equatorial viewing angle. 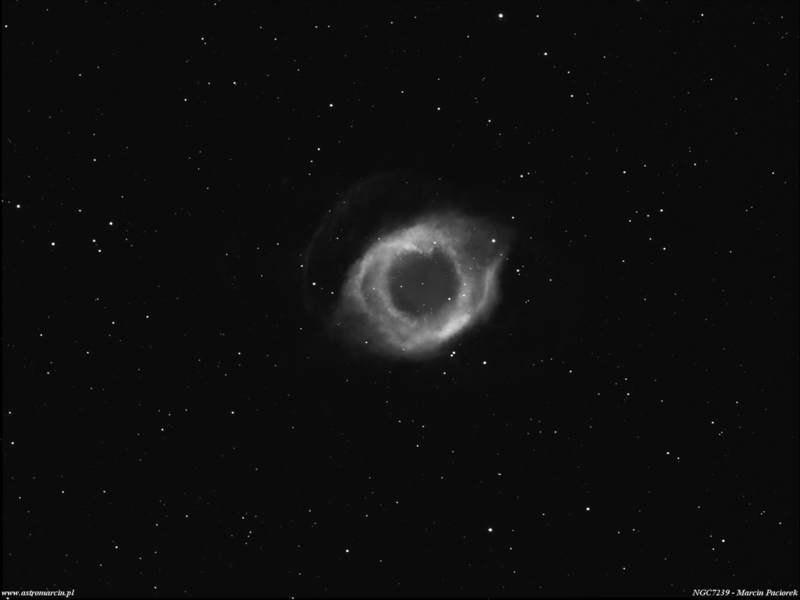 The Helix has often been referred to as the Eye of God on the Internet. 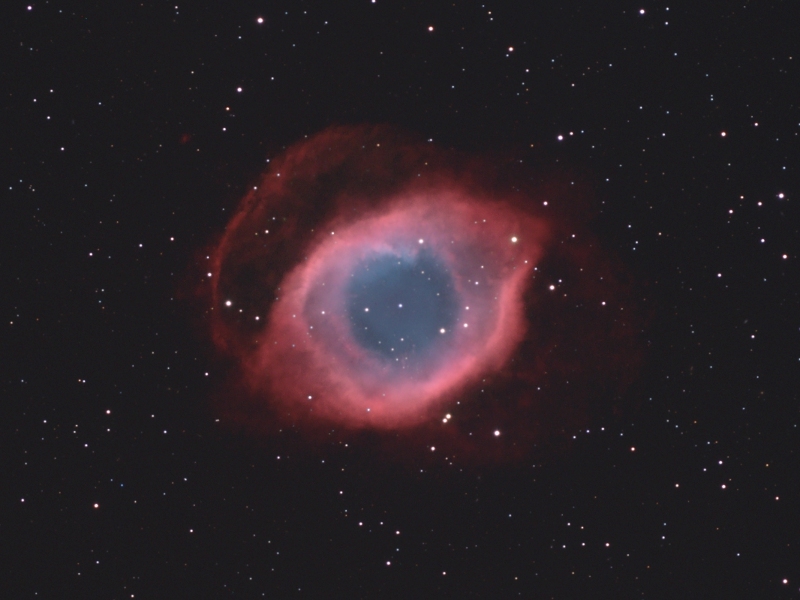 The Helix Nebula is an example of a planetary nebula, or 'planetary' formed at the end of a star's evolution. Gases from the star in the surrounding space appear, from our vantage point, as if we are looking down a helix structure. 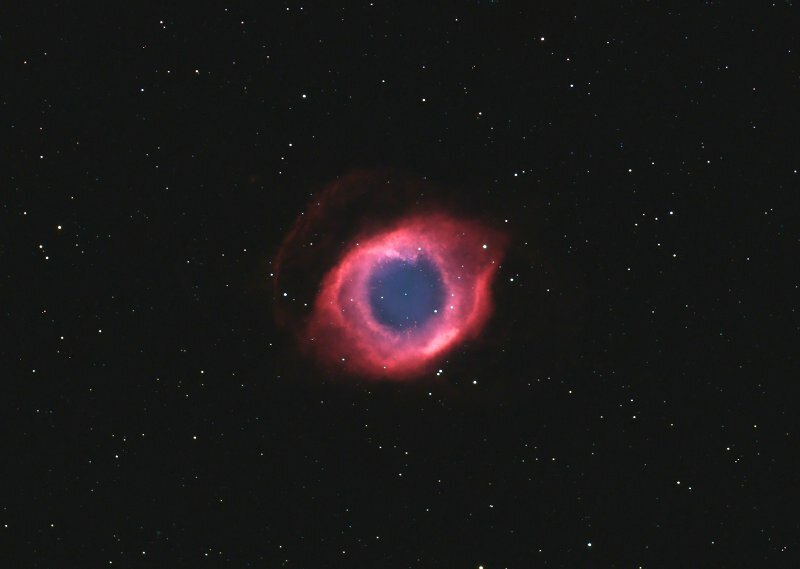 The remnant central stellar core, known as a planetary nebula nucleus or PNN, is destined to become a white dwarf star. The observed glow of the central star is so energetic that it causes the previously expelled gases to brightly fluoresce. 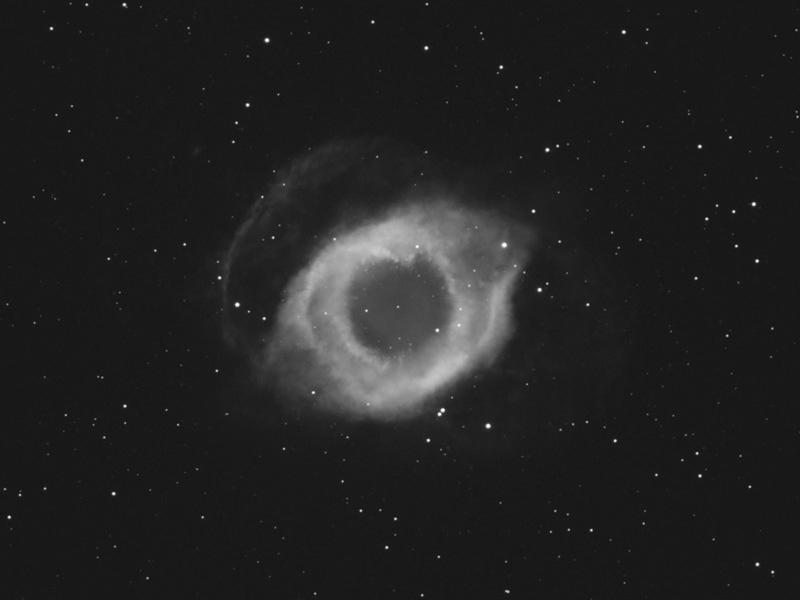 The Helix Nebula in the constellation of Aquarius lies about 700 light-years away, spanning about 0.8 parsec or 2.5 light-years.